It’s possible to make every corner of your home a comfortable place to live. Even the most functional rooms can be transformed into something wonderful. To prove this to you, we’ve put together a selection of some of the most ingenious, but by no means complicated or expensive, tricks you can learn to remake your bathroom. It’s possible to make a bath mat from real seaside stones. You can find instructions on how to do so here. Wicker baskets can be an excellent alternative to shelves in the bathroom. They can be attached to the wall easily enough using a variety of methods. Installing an additional ledge or rail next to the shower is useful for hanging various things up and keeping them to hand at the same time. You’d be surprised how much an ordinary spice rack fits in with the style and decor of your bathroom — plus they’re extremely useful for storing and sorting various bottles. Smaller bathroom items can be stored in ordinary glass jars. 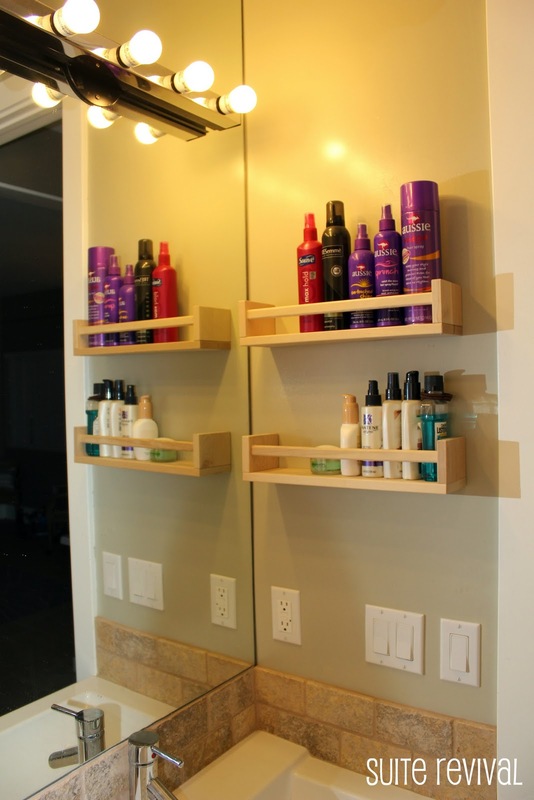 Metal hairpins and other such items can be kept in one place by attaching a magnetic strip to the wall. You’ll never lose them again! 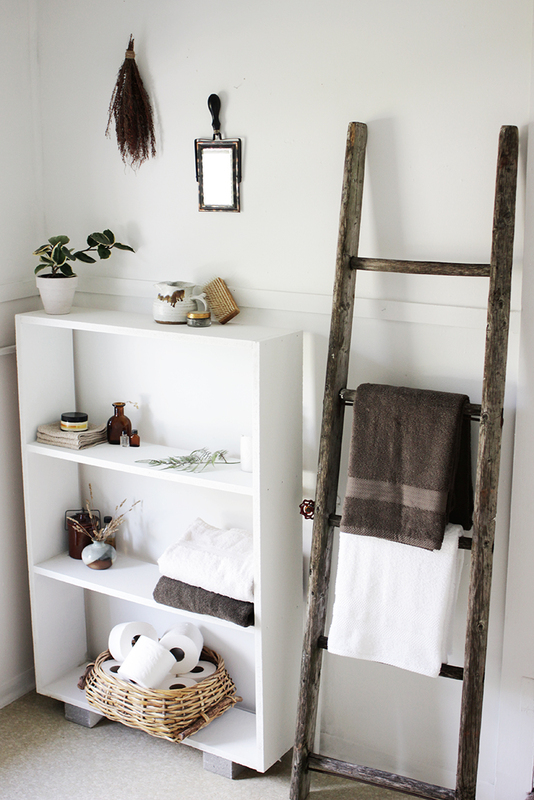 A small, decorative ladder can be used as a towel rail. No need to drill holes in the wall! Pour all the products you need into matching bottles and label them. Your bathroom will look much more stylish and homely in an instant! You can make a mirror into a real part of the room’s decoration if you can think of an imaginative enough idea. Even if you just paint the frame of a mirror, it will have the overall effect of making the room look more cheerful as well as stylish. You can use a shelf to allow you to read and have a drink while relaxing in a hot bath. Add a few plants to the bathroom to make it feel and smell fresher.